The pedal-driven bicycle (known at the time as a 'velocipede') was invented by a Scotsman named Kirkpatrick Macmillan in 1838. The Penny Post system started on 10th January 1840 whereby normal letters could be sent for one penny anywhere in the UK. From the 6th May 1840, post could be prepaid with the first postage stamp, known as the Penny Black. The first successful co-operative movement was called the Rochdale Society of Equitable Pioneers and was founded in 1844. It sold quality goods at fair prices. Other people could join the Co-op, and at the end of each year profits were either shared out among the members or put back into the business. Robert Thomson invented the rubber pneumatic tyre, filled with pressurised gas in 1845. They gave a far more comfortable ride for passengers than solid tyres. London Road in Nottingham became the first road covered with tarmac (tarmacadam) in 1845, instead of cobblestones. George Cayley built the first glider to be flown by a pilot in 1849. Much Wenlock held its first Olympic Games in October 1850 to promote the physical improvement of the town's people. Many regard this event as being an inspiration for the modern Olympic games. In 1854, Henry Bessemer found a way to convert iron into steel, which was both stronger and lighter than iron. Robert Peel who was twice Prime Minister was credited with establishing the Metropolitan Police Force for London. By 1857, all cities in the UK were required to form their own police forces. On 16th August 1858, Queen Victoria sent one of the first text messages across the transatlantic telegraph cable to the then US president, James Buchanan. In 1859 a National Standard post box was introduced with green being used as the standard colour at first. 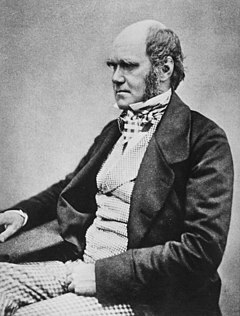 Charles Darwin was an English naturalist famous for his theory of 'natural selection', which means that some species are better able to survive than others. It was published in the book On Origin of Species on 22nd November 1859. In 1864, the first jelly babies were manufactured by Herr Steinbeck in Lancashire. Dr Banardo founded the Barnardo's Charity for poor children. The first of the 'Dr Barnardo's Homes' was opened in 1870 in London to: feed, clothe and educate stray children. Joseph Lister was a Scottish surgeon who introduced antiseptic (germ-killing) spray in 1871. Listerine mouthwash was named after him in 1879. James Stanley invented the penny-farthing bicycle in 1872 which had a huge front wheel and was nicknamed 'the boneshaker'. In 1873, Fry, Vaughan & Co. produced the first chocolate Easter egg in Bristol. The safety bicycle was designed in 1876 by John Lawson. Unlike on the penny-farthings, the rider's feet were within reach of the ground, making it easier to stop. Alexander Graham Bell invented the first practical telephone on 7th March 1876. Thomas Twyford was a pottery manufacturer who invented the single piece, ceramic toilet in 1885 which was much easier to clean than previous wood or metal models.